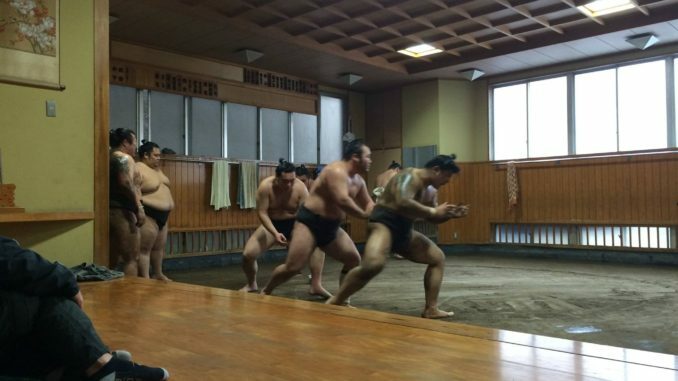 HomejapanHow to enjoy Sumo wrestler’s morning training for FREE in Tokyo? 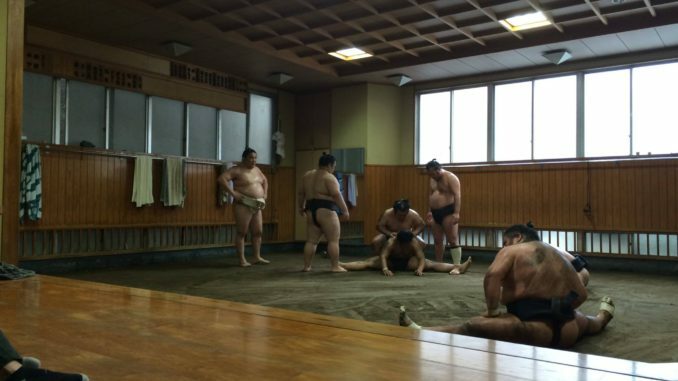 Did you know you can visit and watch Sumo wrestler’s morning training for FREE? Japanize has organized the free event to visit Sumo wrestler’s training place at Takasago-beya(高砂部屋) in Asakusa with 4-5 visitors from outside Japan for traveling. It was really amazing experience even for the local Japanese person and we strongly recommend if you are visiting or already living here but have never visited! 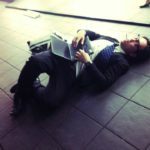 How to watch sumo training and need the reservation? but you can still visit and have great time even by yourself! 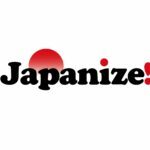 Here is the tips and the process we Japanize organizers have done to organize the FREE tours for the visitors. You can check the schedule of the sumo tournament of whole the year around Japan on this Sumo Grand Tournament Schedule page. We actually have called the place as we can speak Japanese, but don’t worry even if you cannot speak Japanese. You have other options to check. – You can ask the hotel/guest house staffs to call and check with the sumo place. – You can even visit directly the Sumo place maybe on the previous day of your visit. Usually just before the tournament starting, the sumo wrestlers are gathering at the Sumo beya(training place), so if you will be in Japan just before the tournament starts, you will be able to watch Sumo training for free in the morning. We have checked with the place beforehand and they have asked us to visit around that time and we went. They were very quiet when they are doing the training, so please be quiet when you enter too. You will be lead to the seats on the floor with zabuton(Japanese style mat) and you can sit and watch the training. 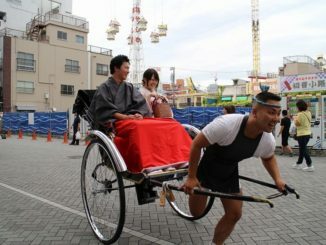 Please check our FB page’s photo album for all the pictures of sumo training at Takasago beya.